Venetian Eye Mask is made out of lightweight, yet durable plastic. Beautifully hand painted with glitter detail. comes with ribbon ties and easy to wear. 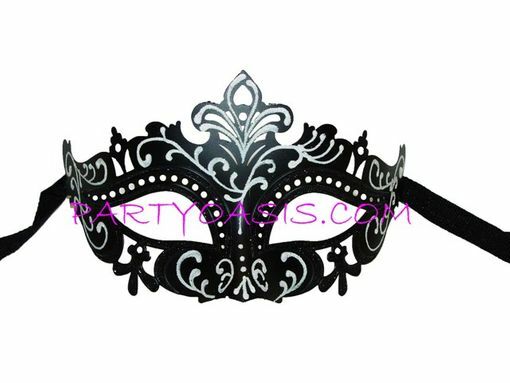 Perfect for a masquerade ball, masquerade themed prom or Mardi Gras.